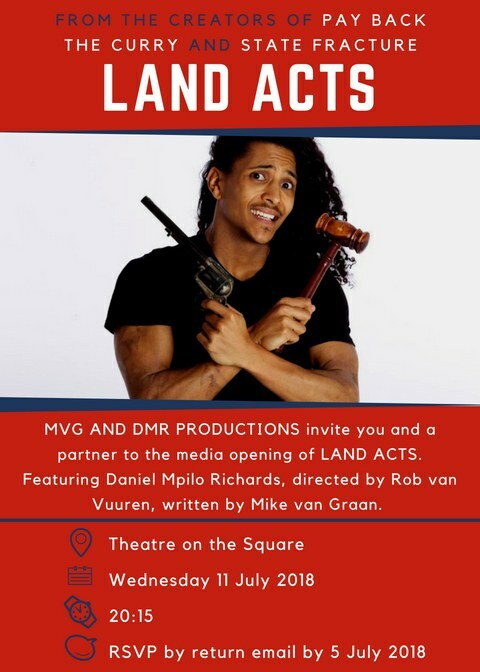 The final revue of three collaborations with Daniel Richards and Rob van Vuuren, this one-hander deals with the contentious theme of land in South Africa. 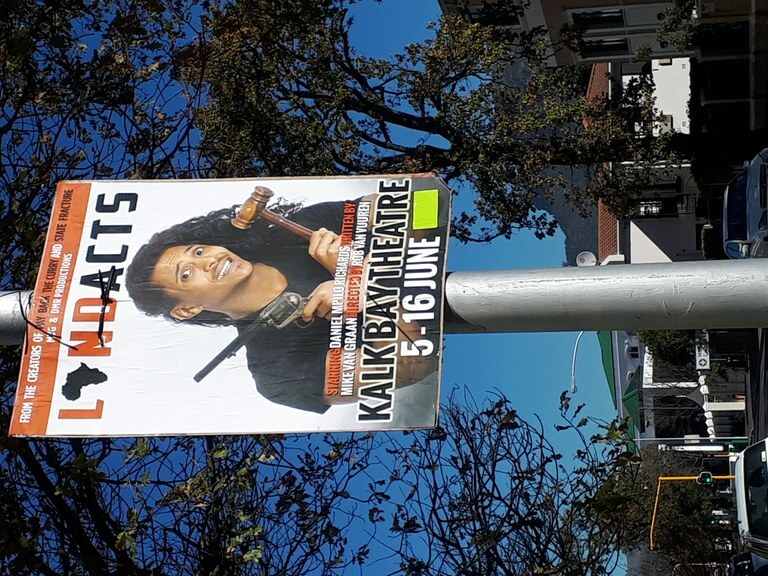 It premiered at the Kalk Bay Theatre in June 2018. Land Acts is the third collaboration between the creative team responsible for the award-winning satirical revues Pay Back the Curry (2016) and State Fracture (2017). Written by Mike van Graan, directed by Rob van Vuuren and again featuring the incredibly talented Daniel Mpilo Richards, Land Acts takes on the theme of land, the catalyst for much controversy and anxiety within the contemporary South African landscape. The script is available on this site and will be published in a volume together with Pay Back the Curry and State Fracture.